When you love food, love to cook and also love to eat, it's easy to put on a few pounds. It's even harder for Food Bloggers we love to share what we cook with others and we are also tempted by all those challenges we take part in. As Spring is definitely here, I have decided that it is time to do something about those extra inches so I will be bringing you recipes and food ideas that are lower in calories, lower in fat and suitable to eat when trying to reduce your weight. This won't be 'a diet' and I won't be boring you with details of how I'm getting on, but I will be sharing the recipes. 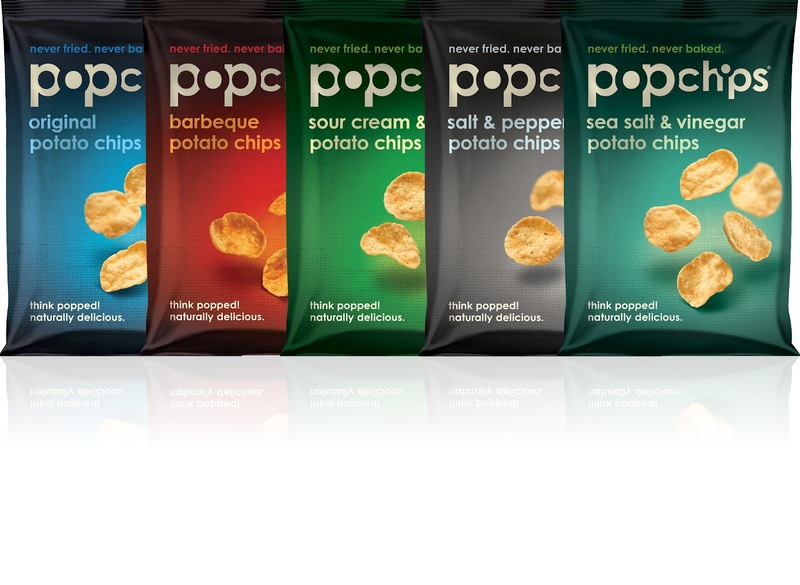 I was lucky enough to be offered the chance to try Popchips and to offer a hamper containing a selection of 24 packs as a Giveaway to one lucky winner. 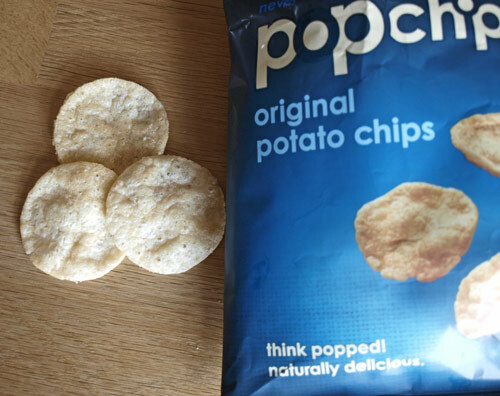 These snacks are 'popped' using heat and pressure rather than fried or baked, which means that they have less than half the fat and fewer calories than the usual type of crisps. There are less than 100 calories for more than 17 crisps in each 23g bag which sells for 69p. 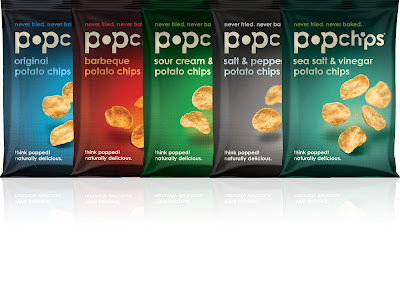 There are five different flavours: original; barbeque; sour cream and chives; salt and pepper; sea salt and vinegar. So what are they like? As you can see in the photo at the top, they look pretty much like the usual puffed potato snacks, however they are not greasy and there are no artifical flavours. You can buy Popchips at Waitrose and online from ocado.com and amazon.co.uk I do think they are quite expensive for what they are, but I did enjoy the Popchips, particularly the Original flavour and compared to some other low calorie snacks they definitely have a more natural taste. Enter my giveaway to try them for yourself. become a fan on facebook or follow on twitter. Can't wait to see your healthy recipes and these chips sound nice! 3 meals a day and no junk! Drink at least 5-6 glasses of water a day. Not only will you feel fuller (and more unlikely to pig out) but your skin will thank you for it too! Eat little and often and always at least 1200 calories to keep your metabolism revved up! Try to get everybody in the house eating the same or at least buddy up with a friend to offer encouragement and help keep you eating healthy and avoiding whatever acts as a trigger for you. Lots of great comments, keep 'em coming. Thanks. Everything in moderation and drink water through out the day to keep yourself hydrated. Take it one day at a time, I've lost seven stone. When I started it was extremely overwhealming knowing I had so much to lose. Dealing with each day as it comes has really taken the stress away. Sign up to run a race..with someone that you're a bit over competitive against! Remember - Nothing tastes as good as slim feels! Get the family on board and only hvae healthy food in the house so there is no junk temptation. Agreed, exercise is the way to go and just steering clear of 'bad' foods. Make a healthy salad or soup as a starter, you'll feel fuller and mpre satisfied for longer. Water, and plenty of it. Eat little and often to keep your metabolism high. If you don't buy it you won't eat it, so just buy fresh healthy food. Eat less, exercise more. Easier said than done! Watch your portion sizes and if you start to feel full up, stop.